You are here: Home / Southeast Asia / 7 Amazing Islands In Southeast Asia You Must Visit! Southeast Asia is one of my favorite regions in the world and I’ve traveled here many times. During these trips Frank and I visited several islands and always had a hard time choosing which one(s) to visit. 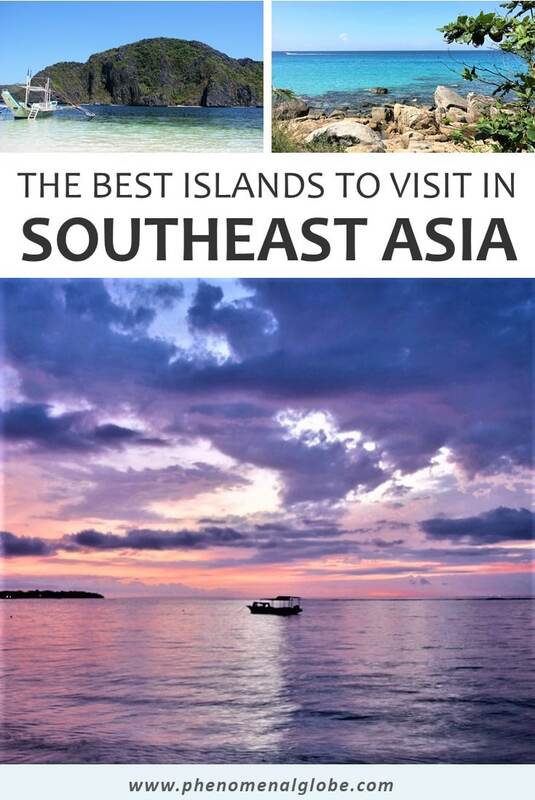 Because there are so many amazing islands in Southeast Asia! I love visiting islands, to me, islands always feel like tiny countries with their own culture, dialect or even language and often unique nature you won’t find anywhere else in the world. Another great feature of islands is the fact they are surrounded by ocean (yes, I know this is stating the obvious but bear with me;-). And in oceans you can go snorkeling or diving. Which happens to be one of my favorite things to do. Plus, when there is ocean, there are usually beaches. And I like beaches, particularly when they look like this. Moreover, islands are usually the perfect size to explore in a couple of days. And it so happens that island exploring on a scooter is also one of my favorite things to do:-). Altogether, I’m a pretty big fan of islands! 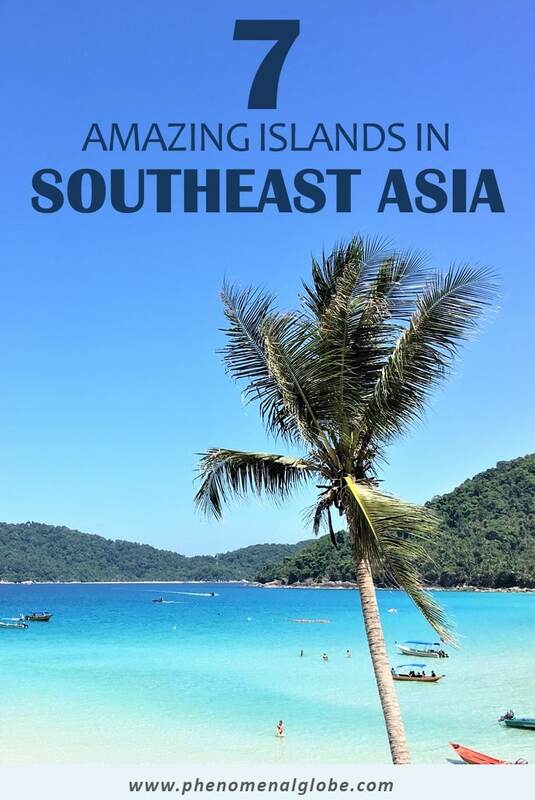 Read along to see which are my favorite islands in Southeast Asia..
What are the best islands in Southeast Asia? Bali is one of the 18,307 islands belonging to the Indonesian archipelago. The currency used in Bali is the Indonesian Rupiah (Rp), €1 is approximately 16.000Rp (April 2019). Check the current exchange rate at XE.com. Ngurah Rai International Airport is located 13 kilometers south of Denpasar. It’s a modern and busy airport, served by many airlines, making it easy to find a (cheap) flight to Bali. Over 80% of the population adheres to Balinese Hinduism, which results in a multitude of temples, colorful offerings on every street and a very friendly atmosphere. Only drink bottled water on Bali, tap water isn’t safe. Bali is also called the Island of the Gods and not without reason. The island has impressive mountains and volcanoes, tropical beaches, a stunning blue ocean, lush green forest, pretty rice paddies, you name it. 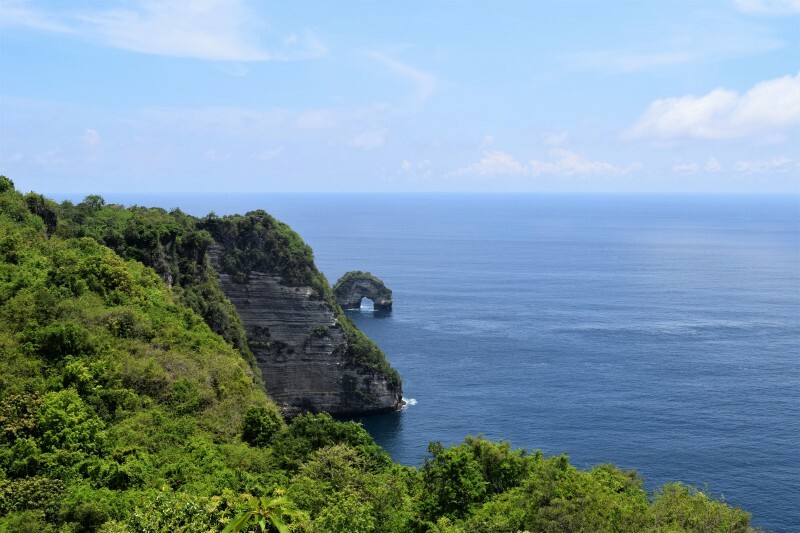 While far from undiscovered, Bali is still the perfect island getaway! During our 2 week trip to Bali we visited 5 very different places on Bali: Sanur, Nusa Lembongan and Nusa Penida, Sebatu, Canggu and Jimbaran. Each of those places had their own character and charm. Read more about our Bali itinerary here. Langkawi is a beautiful island in the Andaman Sea about 30km from the northwestern coast of Malaysia. Another name for Pulau Langkawi is Langkawi Permata Kedah (in Malay) which translates to the Jewel of Kedah. The currency used in Langkawi is the Malaysian Ringgit, €1 is worth approximately 5RM (April 2019). Check the current exchange rate at XE.com. Langkawi’s has an international airport which is located on the West side of the island. You can also reach Langkawi by ferry from Penang or from Kuala Perlis on the mainland. 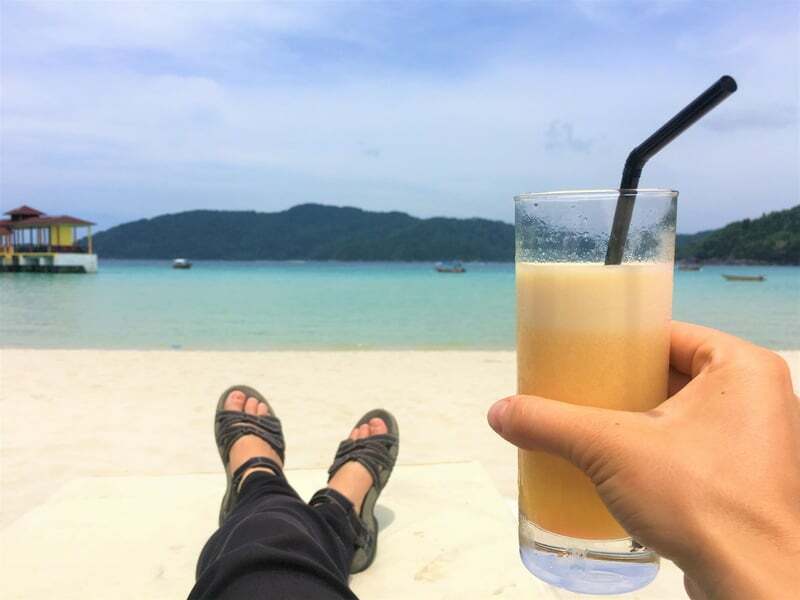 There are several reasons that make Langkawi a very attractive island to visit, such as it’s accessibility, the fact that you can visit year-round and the beautiful white-sand beaches. 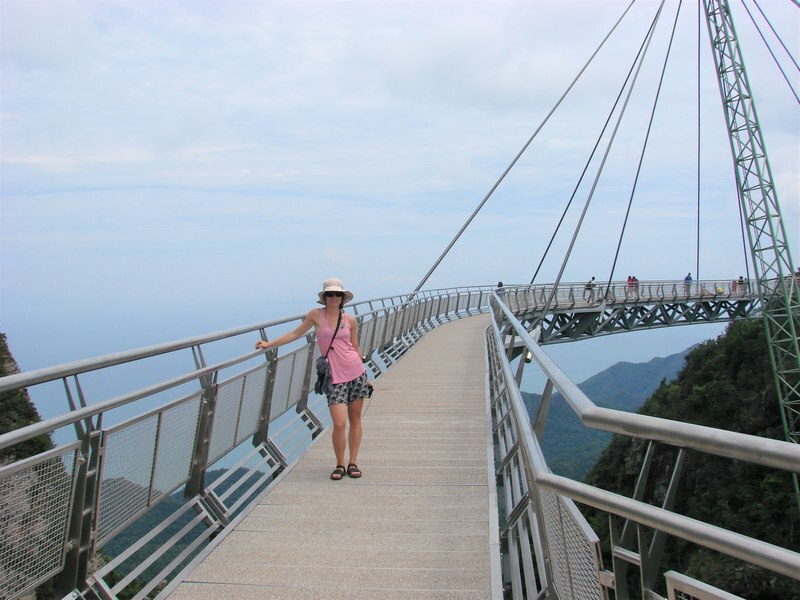 Fun activities include the Langkawi Cable Car, the vertigo inducing SkyBridge, duty free shopping in Kuah or relaxing on one of the lovely beaches. 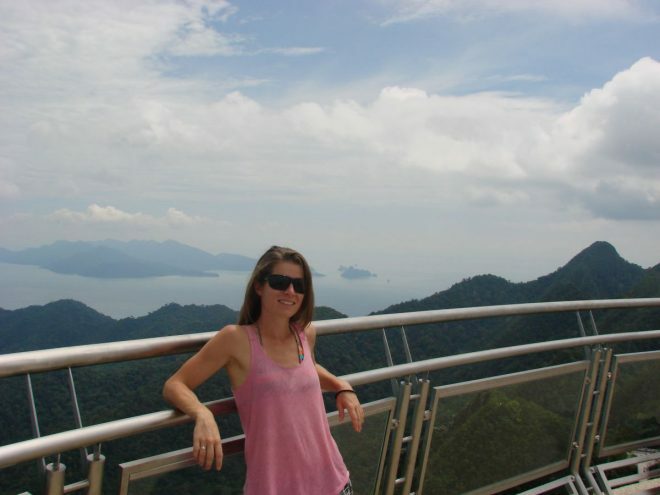 Check out my Langkawi island guide and itinerary here. The Perhentian Islands are located just of the Northeast Coast off Malaysia, in the South China Sea. On the Perhentians you an also pay with the Malaysian Ringgit. Keep in mind however that there are no ATM’s on the Perhantian Islands, so make sure to get enough cash before leaving the mainland! You can get to the islands from Kuala Besut by jetty, usually these leave every hour between 8am and 5pm. Tickets cost 35RM one way. 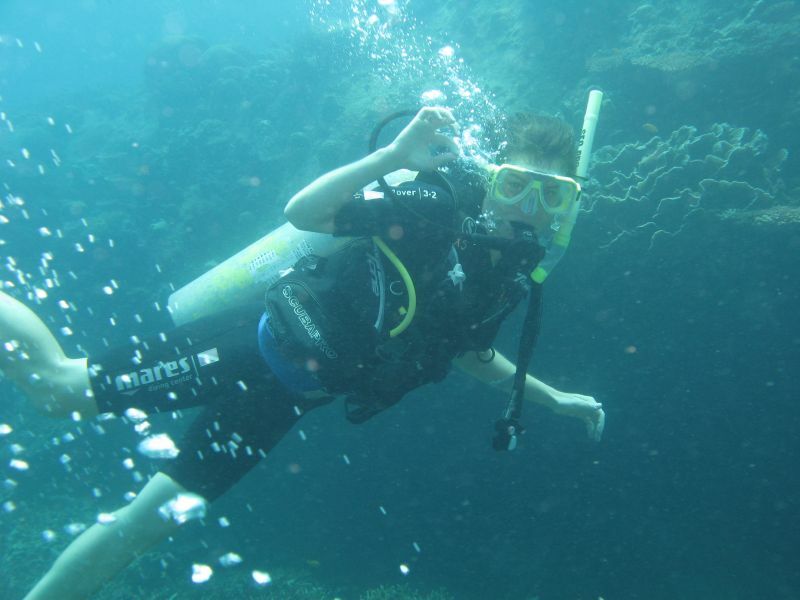 The main reason to visit the Perhentian Islands is because of the beautiful underwater world surrounding the islands. As a protected marine park it’s one of the best places to go scuba diving in Malaysia (along with Tioman Island, read more below). Besides scuba diving you can also do several hikes, rent a kayak or relax on a comfy beach chair in Coral Bay or Long Beach with a fresh fruit smoothie in your hand. 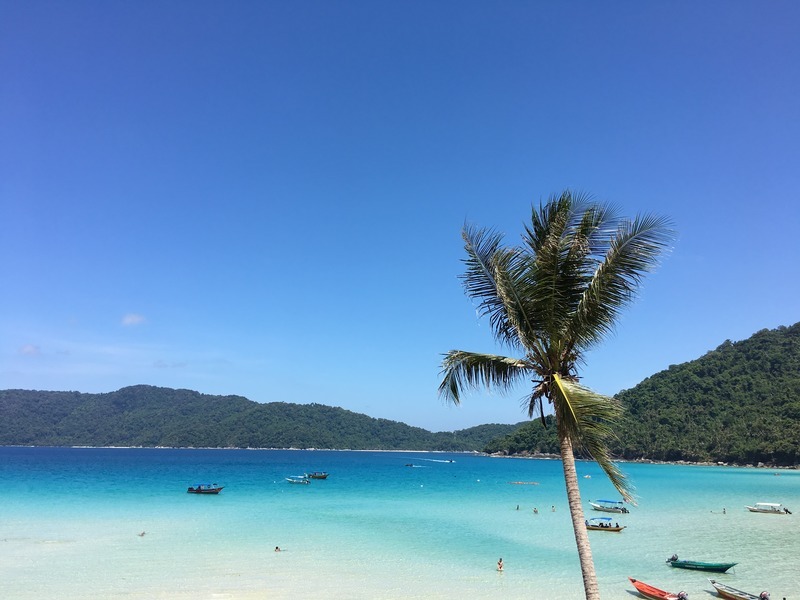 Check out my Perhentian island guide here. Tioman is another amazing tropical island in Malaysia! It’s located about 32 km off the Southeast coast of Peninsular Malaysia. Once again you can pay with the Malaysian Ringgit and once again it’s smart to get cash at the mainland (Mersing) before hopping on the ferry. You can get to the island from Mersing by jetty, usually there are several boats a day. Departure times are dependent on the tide and there are usually 5 stops: Genting, Paya, Tekek, Air Batang (also known as ABC) and Salang. Well, for starters the ocean around Tioman is so clear you can see amazing coral from the jetty pier. Furthermore, giant lizards roam the island, there are lots of monkeys and I saw a turtle, a shark and a huge moray eel in one dive. Tioman Island is truly paradise on earth! 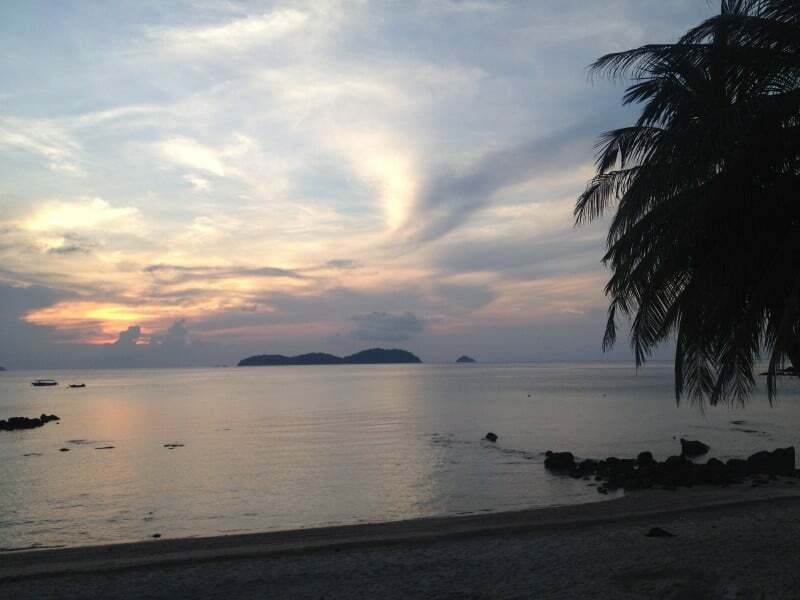 Read more about Tioman island and traveling in Malaysia in my Malaysia travel budget post and 2-week trip itinerary. 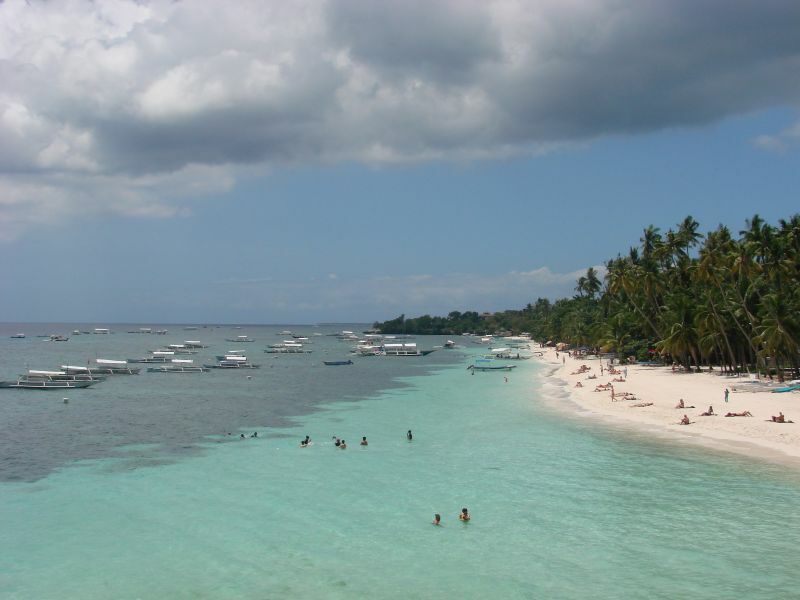 Bohol is one of the more than 7000 islands of the Philippines and the 10th largest one. Tagbilaran is the capital of the island, there are several direct flights from Manila (which take around 1 hour and a half). 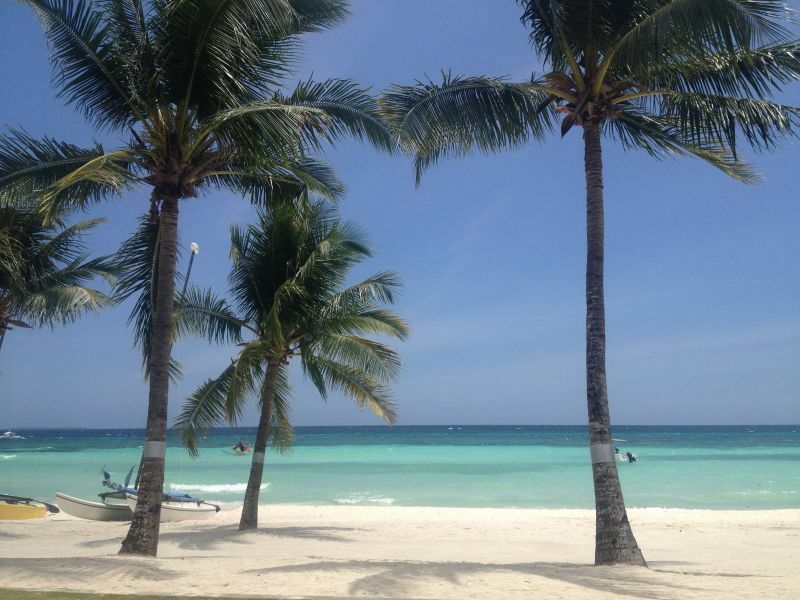 While Bohol isn’t undiscovered territory, it’s a bit further from the beaten than other Southeast Asian islands in this list. On this beautiful island you can find Tarsier, the smallest and shyest monkey in the world. 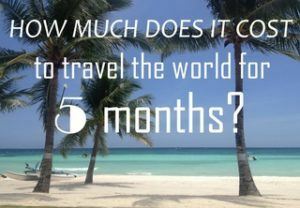 Read more about Bohol and traveling in the Philippines in my Philippines travel budget post and my 3 week Philippines itinerary). El Nido is a village on the northern side of the island Palawan in the Philippines. Palawan is the 5th largest island of the Philippines. The capital of Palawan is Puerto Princesa. The waters around El Nido have been established as a turtle sanctuary since 1984 (we did see lots of turtles during our dives here!). The white-sand beaches are splendid, the underwater world is breathtaking (sorry, couldn’t resist this pun;-) and the limestone cliffs that rise from the crystal clear ocean are magnificent. Even after visiting 40+ countries El Nido still ranks as one of the most beautiful places I’ve ever seen! 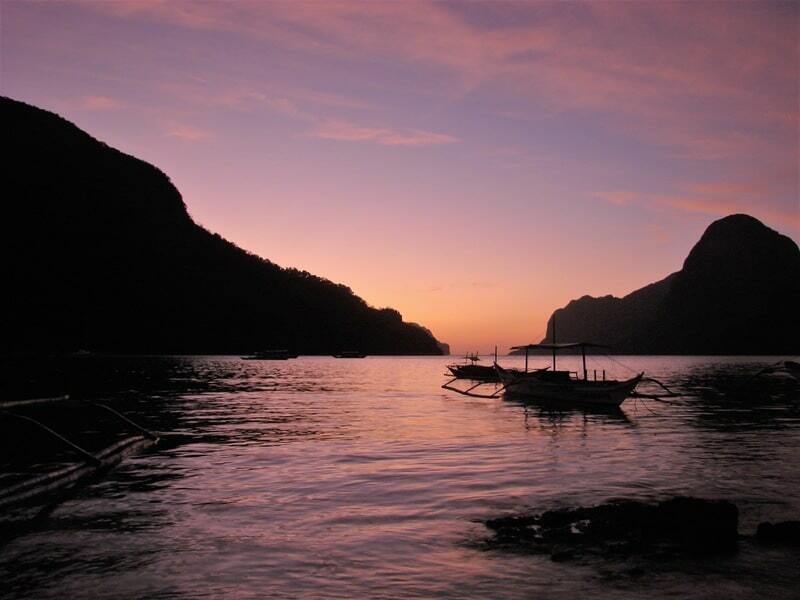 El Nido is the ultimate place to unwind and relax, or to get your PADI! 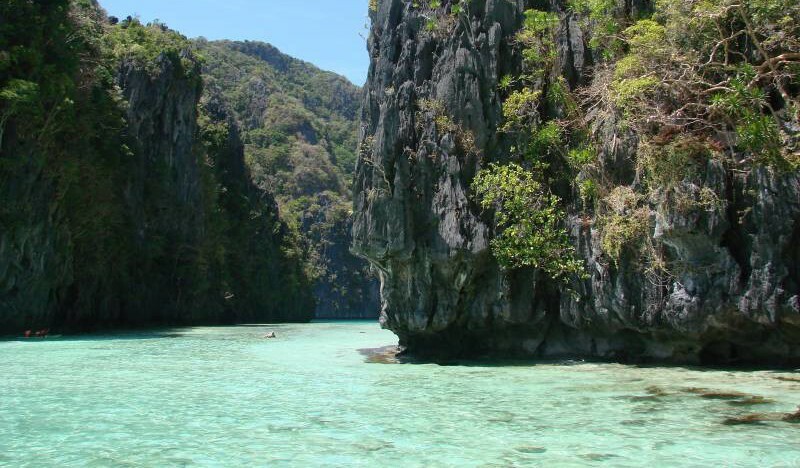 Besides diving and snorkeling, there are many other fun activities to do in El Nido. You can rent a kayak, go hiking, rent a scooter to explore nearby beaches or drink a smoothie (or cocktail) while watching the sunset. Read more about El Nido in my El Nido travel guide. The island Phu Quoc lies 3km off the Cambodian coast, however, it doesn’t belong to Cambodia but to Vietnam. The largest town is Duong Dong, which has a great night market! You can get to Phu Quoc by plane or by ferry (more information can be found here). Phu Quoc is a very green island as Phu Quoc National Park covers more than 50% of the island. Phu Quoc is another beautiful island and the last one on this list. We spent 3 days exploring the island on a scooter and loved our time here. Places to visit are the Ho Quoc Pagoda, Sao beach, Dinh Cau Rock and more. Note: Phu Quoc was a quiet place when I visited in 2015, however, things have changed. 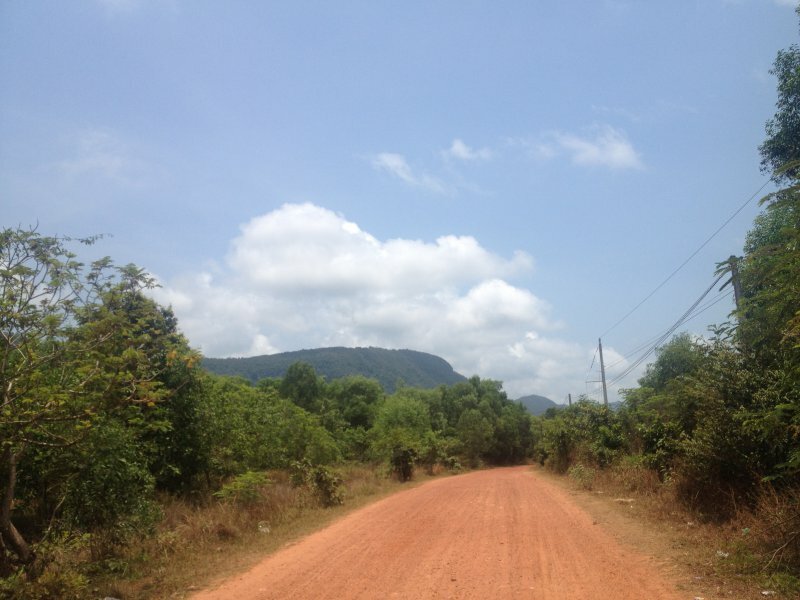 When I visited the island the East Coast was completely undeveloped and the only road was a dirt track named ‘the adventure road’ on all Phu Quoc maps. In 2015 a new international airport was finished, as well as a brand new road from the north to the south of the island. Nevertheless, it’s still a lovely island to visit, especially if you also plan to visit Cambodia. 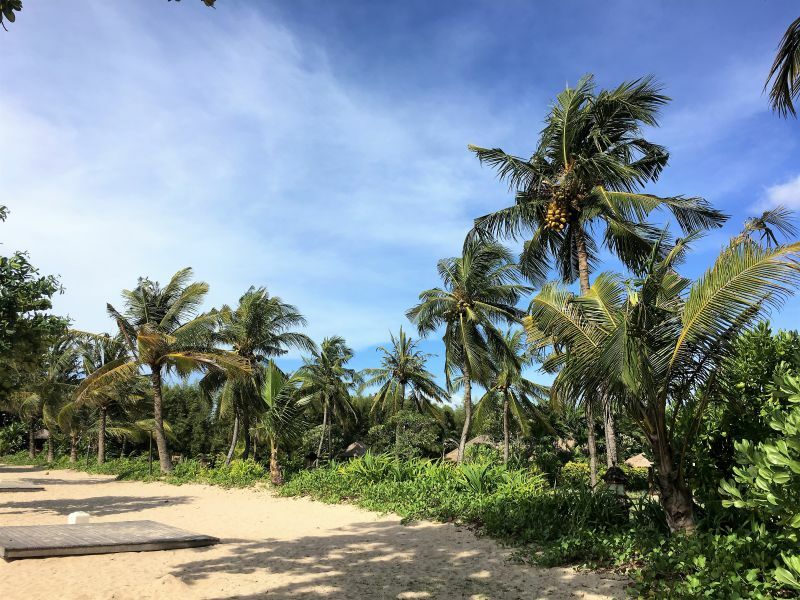 Read more about Phu Quoc and traveling in Vietnam in my aVietnam travel budget, post about things to do in Vietnam and my 1 month Vietnam itinerary. Great selection, but you missed Con Dao in Vietnam and the Palawan Islands! Thanks! Yes I definitely will have to visit the Con Dao islands next time I am in Vietnam:-) I have been to Palawan in the Philippines though and wrote a separate post about this tropical paradise which you can find on the blog. Haha dat is zeker een groot eiland;-) En absoluut 1 waar ik graag nog een keer naartoe wil! Tioman vond ik echt geweldig, zo mooi? 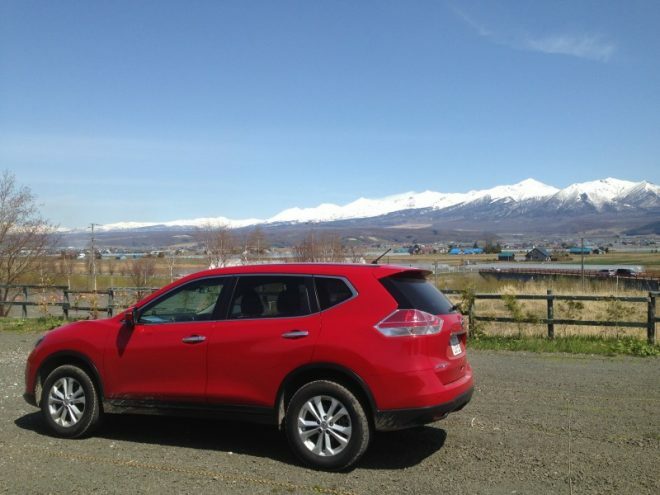 Good question … one of my favorite islands is Vancouver Island. I also love our very own Texel and Iceland, although you cannot really call that an island. 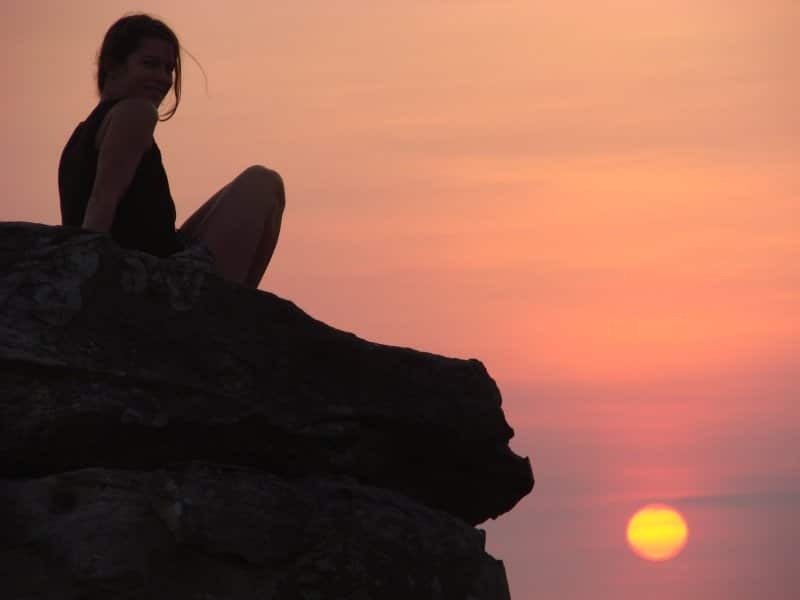 I think my new favorite one will be Tasmania after March 🙂 I wasn’t a fan of Koh Chang but that’s also because of the poor weather we had … I need to go back to Thailand someday soon to really experience island life there! Great island Anto! I also really love our own islands, particularly Vlieland and Terschelling, used to go there a lot when my parents still had their sailing boat. I am very curious about Tasmania, looking forward to reading your post and seeing the pictures, it’s supposed to be even prettier than New Zealand (but that cannot be true;-)! Islands, my favourite travel destination too! Your list of favourites is great, would love to visit Malaysia and the Philippines. 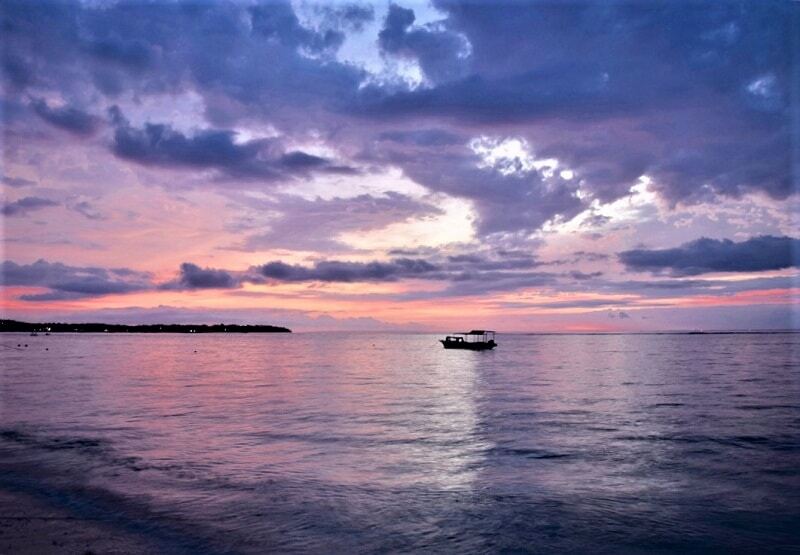 My favourite is in fact a group of islands, the Leeward Islands in the Caribbean Sea. We have visited a bunch of them a couple of years ago while we were cruising with the Starclipper. The weather is great, the nature is fantastic, very friendly and happy people, delicious food and of course endless water sports possibilities…my piece of cake 😉 Cheers and happy 2016! Islands are the best:-) I googled the Leeward Islands, it look beautiful, sailing around on a Starclipper must be amazing! Happy 2016!